Woody Allen: They won't pay ten cents to see one of my movies, but passing in a gondola, they love it. 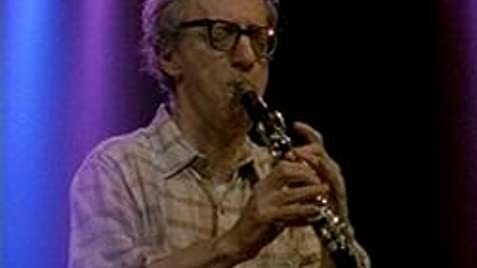 A look behind the scenes of Woody Allen's life. 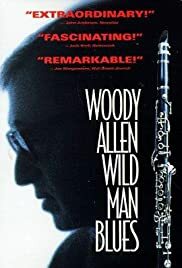 This film provides a deeper insight into Woody Allen's private life, not to mention a treat for anyone who loves old New Orlean's jazz. What I found most interesting was seeing Woody Allen as he really is which isn't much different from his characters in his movies. His interactions with people, his humor, his moods, his explanations of himself, seeing his interaction with his parents. It was very real. Very human. Just what you'd expect from Woody Allen. His wife, Soon yi said: "When she came to see you play, she said that's the most movement she's seen from you from the whole time she's known you." Woody: "The most movement? What does she expect? I mean, I'm not gonna bob my head and tap my feet when I'm talking about politics or literature or something. I'm not going to keep time. Right? Be reasonable. I'm appropriately animated for a human in the context within which I exist." Lady: "You are so intelligent. You are so happy to be so intelligent." Woody (jokingly): "Well, yes. It is a burden though sometimes. With this much intelligence comes great responsibility. You know. It's lonely at the top." In the hotel restaurant walking around: "Oh, there's the band. Oh, my goodness, they're eating like their going to the 'chair'." "Whenever I travel, I always have to have my own bathroom because I'm crazy. So I always wind up taking an extra room or an extra suite of rooms. Then I can place around all my unctions and vanishing creams and the cosmetics that give me this look." With his wife at breakfast in their Milan hotel: "You know, this being Milan, I hope our laundry doesn't come back breaded." "I've got the kind of personality that when I'm here (Europe) I miss New York and when I'm in New York I miss Europe. I just don't like being where I am at any given moment. I would rather be somewhere else. So you know there's no way to beat that problem because no matter where you are, you know what I mean, it's chronic dissatisfaction." In London with a bad cold: "What a drag. I was looking forward to giving a good show tonight. I don't want to just go out there and make an achievement till I get through the show. I want the show to be very good cause if I'm not good, these people will hate me in my own language."